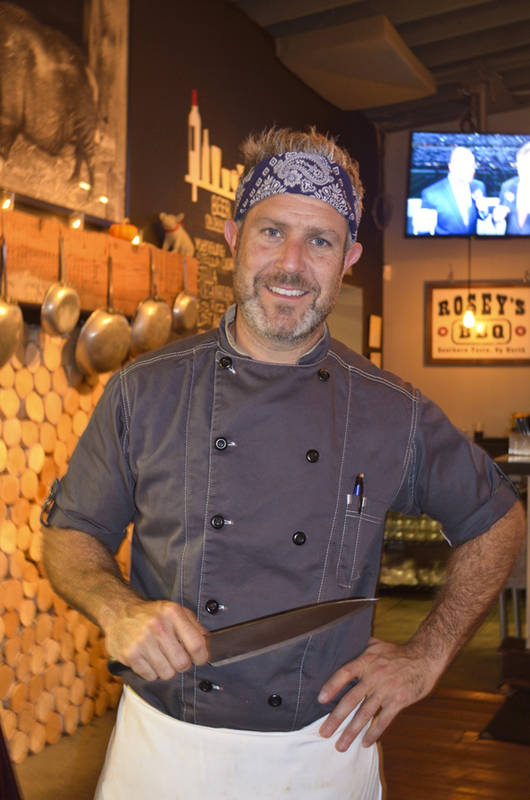 Although Chad Rosenthal has been cooking since he was five years old, his professional life took a dramatic turn in 2012, when a 20-something walked up to his barbecue takeout counter and ordered one of everything on the menu. 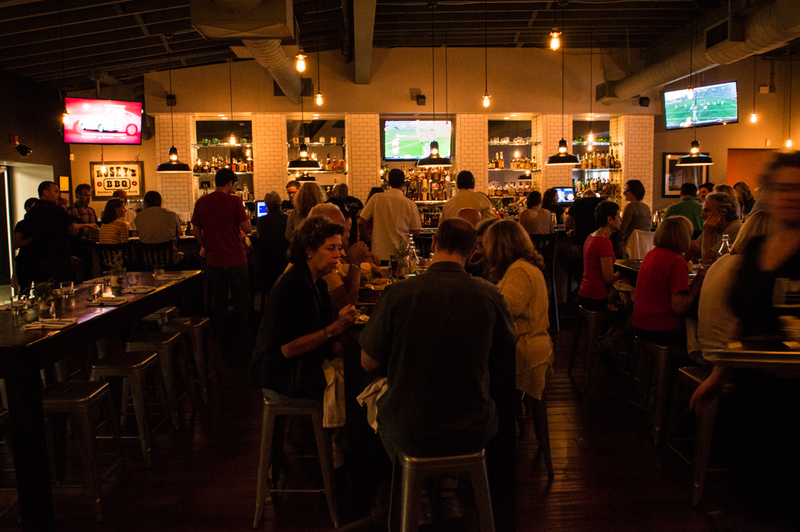 "I thought she was kidding," Rosenthal says, sitting casually amid the 160-seats of The Lucky Well, his new Ambler restaurant. "And then I thought maybe she was a food blogger or a restaurant critic," he admits. But the truth is, she was a talent scout for Food Network, casting for Next Food Network Star, a reality show that seeks the next on-air Rachael Ray or Emeril Lagasse. Upon meeting Rosenthal - and sampling his food - she recommended him for the show. "The night before the application was due, I was still working on it," Rosenthal laughs. "They needed pictures, and I remember being at a CVS at 2 a.m., printing them out." After a number of auditions, which included a trip to Atlanta to cook for Alton Brown, he found himself participating in Season 9. "We were in Los Angeles for 45 days," Rosenthal recalls. "It actually delayed the opening of The Lucky Well, me not being here. It was a lot of fun but a lot of work. It&apos;s one thing to cook. It&apos;s another thing to cook, look great, incorporate the camera and talk at the same time." Rosenthal beat out six other contestants but was sent home in an episode that had the chefs vying for bids on their signature dishes. But his relationship with Food Network didn&apos;t end there: He returned for Season 10 as a fan favorite in the "Star Salvation" segment of the show. Rosenthal maintains a relationship with the network, making himself available for commentary and cooking as needed. He formed lasting friendships with other chefs. "Giada De Laurentiis is every bit as beautiful in person as she is on screen," he admits. "And Alton Brown was just the coolest." The Lucky Well&apos;s menu of savory barbecue is augmented by live entertainment on Wednesday and Thursday nights, and it&apos;s not uncommon to find another familiar face on the stage. "Rodney Henry - the "Pie Guy" runner up Season 9 - has become a friend," Rosenthal says. "He comes up from Baltimore and plays guitar." Rosenthal likes meeting fans ("People come in and ask for pictures with me a lot! "), but his real passion is serving customers. "We use only local meat; I get my poultry from Lancaster and my meat from local suppliers. Our beef and pork get dry rubbed and sit for 24 hours before being put in the hickory smoker. Poultry gets brined for 24 hours before it is slow-cooked. I&apos;ll then use the grill to add a bit of char." Rosenthal shows off the hickory smoker. The scent of the day&apos;s meals still lingers in the double-door chamber. "When you cook, your neighbors must go crazy with the smell," I say. "When we cook, all of Ambler goes crazy with the smell," he counters. Rosenthal likes to surprise guests with the extensiveness of his menu. "People come in expecting just barbecue," he says. "But we have excellent burgers, salads, fish. The bar has 160 craft whiskeys. There&apos;s more here than people think." 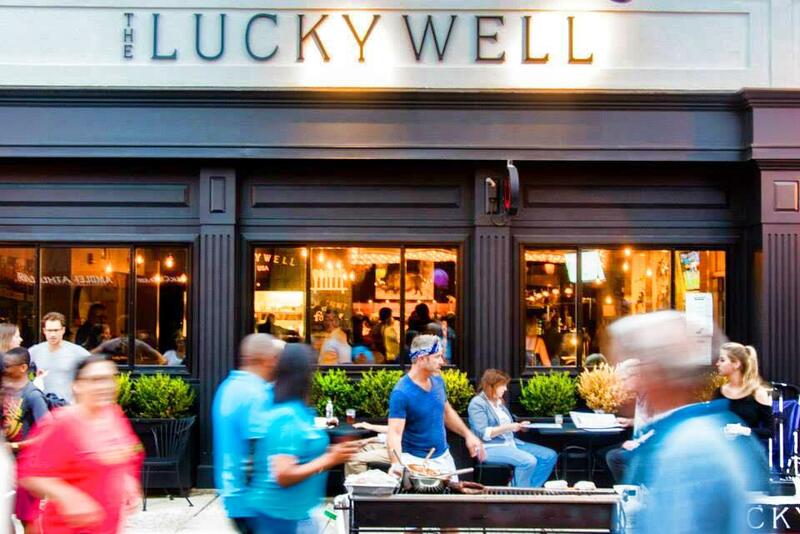 The Lucky Well has a number of seating options; tables for four occupy one half of the dining room, while the other features longer tables for family-style communal eating. A private room can be reserved for parties. The restaurant is well-positioned on Butler Avenue. The SEPTA train station, on the Lansdale/Doylestown line, is a short walk away, as are the unique shops and quirky galleries of downtown Ambler. Directly across the street is the Ambler Theater, and catty-corner to The Lucky Well is the Act II Playhouse. Dinner and a show or dinner and a movie make for a terrific date night or girls night out. A hotel stay can turn an evening of entertainment into an entire weekend escape. See our website for hotel and B&B listings.